Graffiti – Art or Vandalism? Graffiti, with its raw and defiant nature, still has the ability to raise eyebrows, but as street art becomes mainstream and the quality of the work increases, the debate on its legitimacy as an art form is finally beginning to settle. In an effort to explore this genre further, we have been following the movement recently. However the catalyst for this special issue was a visit to Melbourne, Australia – The City of Graffiti – here we were confronted with this controversial issue many times, seeing both, great pieces of art and bad vandalism. Though our focus here is on graffiti rather than the numerous other forms of street art, it might be useful to give some definitions first. Street art is any art developed in public spaces — that is, “in the streets” — though the term usually refers to unsanctioned art, as opposed to government sponsored initiatives. The term can include traditional graffiti artwork, sculpture, stencil graffiti, sticker art, wheatpasting and street poster art, video projection, art intervention, guerrilla art, flash mobbing and street installations. Typically, the term street art or the more specific post-graffiti is used to distinguish contemporary public-space artwork from territorial graffiti, vandalism, and corporate art. 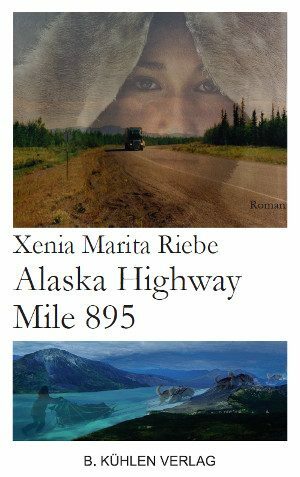 Artists have challenged art by situating it in non-art contexts. ‘Street’ artists do not aspire to change the definition of an artwork, but rather to question the existing environment with its own language. They attempt to have their work communicate with everyday people about socially relevant themes in ways that are informed by esthetic values without being imprisoned by them. Traditional – Painting on the surfaces of public or private property that is visible to the public, commonly with a can of spray paint or roll-on paint. 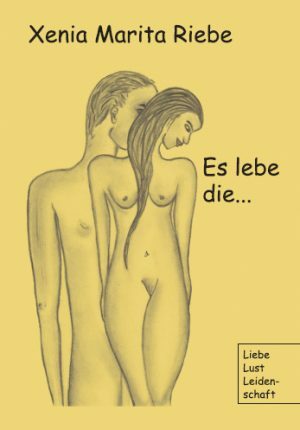 It may be comprised of just simple words (commonly the writer’s name) or be more artful and elaborate, covering a surface with a mural image. Stencil – Painting with the use of a homemade stencil, usually a paper or cardboard cutout, to create an image that can be easily reproduced. 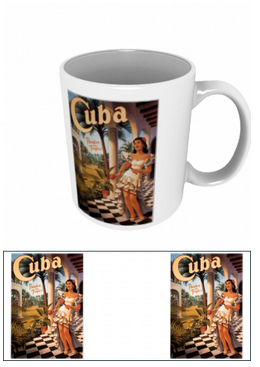 The desired design is cut out of a selected medium, and the image is transferred to a surface through the use of spray paint or roll-on paint. Sticker- (aka sticker bombing, slap tagging, and sticker tagging) Propagates an image or message in public spaces using homemade stickers. These stickers commonly promote a political agenda, comment on a policy or issue, or comprise an avantgarde art campaign. Sticker art is considered a subcategory of postmodern art. Mosaic- Mosaic is the art of creating images with an assemblage of smaller parts or pieces, to resemble a single giant piece of art. 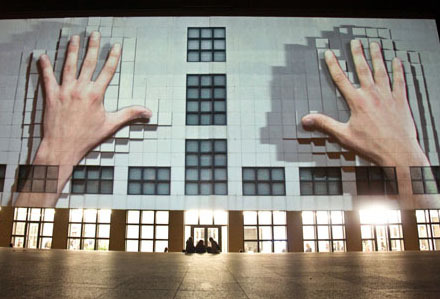 Video Projection– Digitally projecting a computer-manipulated image onto a surface via a light and projection system. 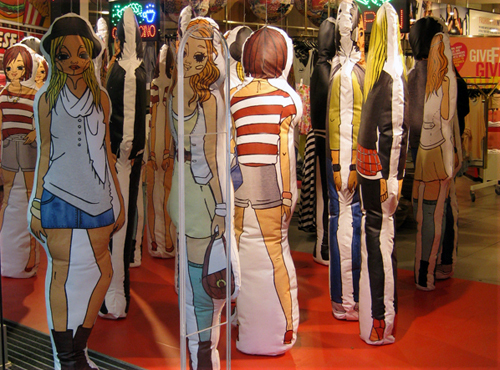 Street installations are a growing trend within the ‘street art’ movement. Whereas conventional street art and graffiti is done on surfaces or walls, ‘street installations’ use 3-D objects and space to interfere with the urban environment. 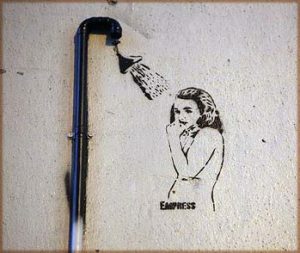 Like graffiti, it is non-permission based and once the object or sculpture is installed it is left there by the artist. Graffiti comes in all shapes and sizes. There are a number of different types and styles of graffiti. There is a number of distinct types of graffiti: pieces, tags, stencils, throw ups, characters, panels, productions, short messages or pictures and sticker graffiti. These may be done in a number of different styles such as public, Los Angeles, New York, bubble writing or the graffitist’s own unique style. The graffiti may be done with a number of different materials ranging from spray paint cans to drill bits used for etching and encompasses everything in between such as stencil outlines, marker pens and stickers. A stylized signature, normally done in one color. The simplest and most prevalent type of graffiti, a tag is often done in a color that contrasts sharply with its background. Tag can also be used as a verb meaning “to sign”. Writers often tag on or beside their pieces, following the practice of traditional artists who sign their artwork. Typically tags take just seconds to write or put up. They may be done with a variety of graffiti implements including spray paint, marker pens, textas, etching implements such as drill bits or even pens, pencils and crayons. Some graffitists even modify their marker pens or paints so that they scar or leave a permanent mark. The next most common form of graffiti reported by the interview participants was piecing. A piece is a painting, and is short for ‘masterpiece’.17 A piece requires considerably more stylistic input than a tag, will involve multiple colours and be completely filled in. Often a piece will be a more complicated version of the graffitist’s tag or crew tag, or it may be another word, a character or another picture altogether. Interview participants who identified as ‘piecers’ were typically motivated by fame or artistic expression. These two motivations are intertwined for some graffitists because a high quality piece that is in some way unique will bring its writer respect and fame. It should be noted that most piecers identified fame as a motivation and/or associated themselves with a graffiti sub-culture. Very few of the participants identified art as their primary motivation for doing graffiti. This is not to say that graffiti does not provide an outlet for artistic expression, rather, ‘piecers’ may be described as ‘doing graffiti artistically’ rather than ‘doing art illegally’. 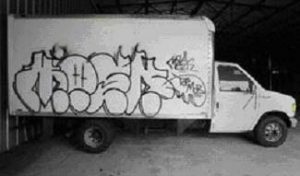 I use my throwie like most people use their tag.” Most interview participants who did throw ups reported them taking just seconds to do. However, where a tag might take five seconds to do a throwie might take 30 seconds. Who are the graffiti writers? A small but interesting number of individuals attributed their graffiti to artistic expression. Graffiti is, in my opinion, one of the last true remaining art forms, because it’s an underground art form. It’s what art, to me, should be about. It should be about your own self-expression, not about for the gratification of the public. Like, I love, you know, my art like, my art is walking at 3am in the morning down train lines and seeing just piece after wicked piece and just sitting there and admiring just how beautiful that work is. Part of the form of expression is the act of doing it illegally. This person may use legal graffiti walls on occasion but is unlikely to be completely diverted from practicing illegal graffiti. I guess, I look up to the artists and it is just like a heaps good form of art I think. Yeah, if you want like the public to see something like a controversial message or put your point of view out there, it’s a good form of art to do that because it’s in the public eye and stuff and you get reactions from it. This participant did stencil graffiti illegally to show off his art. For him, there was little or no ‘graffiti culture’ involved in the decision to do graffiti vandalism; he could be described as doing art illegally rather than practicing artistic graffiti. To illustrate these findings let me quote some statements from an interview as published on the famous website melbournegraffiti.com which contains over 4,000 high quality photos of Australian and worldwide graffiti on trains, walls and in the streets. 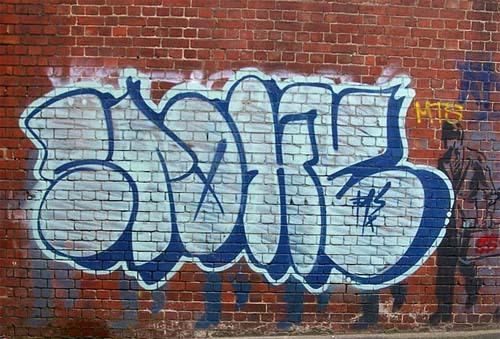 MelbourneGraffiti has been around for over 10 years and is preserved in the National Library of Australia’s Pandora Archives. 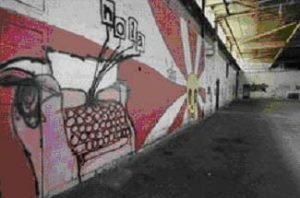 What is it that you love about graffiti that keeps you writing? Tell us about your style and how it has developed over the years. Went through a phase of incorporating organic alien like features into weird wildstyles, I liked abstractions of letters that didn’t look like letters. lately I enjoy the opposite ; simple blockbusters, comic characters, funky throwups, instant recognition and legibility but with an individual spin on it. Any tips you’re willing to share to the next generation of writers? Have fun with it, keep an open mind and do what you feel. If it’s not fun, then take a break or switch up your style, don’t be afraid to experiment because the haters are watching; experimenting is the primary way to find your own style and not live off others. Draw a lot. Graffiti – Vandalism or art? There are pieces of great art and there is also just poor scribbling. Both are almost always illegal, a criminal offence, no matter how great their artistic value might be. Is it vandalism? A vandal, apart from the historical reference to the Germanic people of the fourth and fifth centuries who invaded parts of Western Europe, is generally understood in terms of the Oxford English Dictionary, that is, as being a wilful or ignorant destroyer of property, or of anything beautiful, venerable, or worthy of preservation. Yet for most graffiti artists their work is not about destruction so much as being an addition to the environment, a considered placement. It is not the slashing of seats, nor is it the smashing of windows; it is not permanent nor is it a physical attack, but it is illegal. In Western Australia, under the Criminal Code Act Compilation Act 1913, graffiti vandalism (graffiti) is a criminal offence. The recent doubling of existing penalties and legislative inclusions banning sale and supply of spray paint and certain implements to juveniles elevates the seriousness of graffiti as a criminal damage offence. Graffiti vandalism can take the form of writing, drawing or scratching onto surfaces using different implements such as paint, chalk, markers and stickers. Graffiti Vandalism is illegal and police are now taking a tougher approach in targeting offenders. Introduced by the City of Melbourne in 2009. 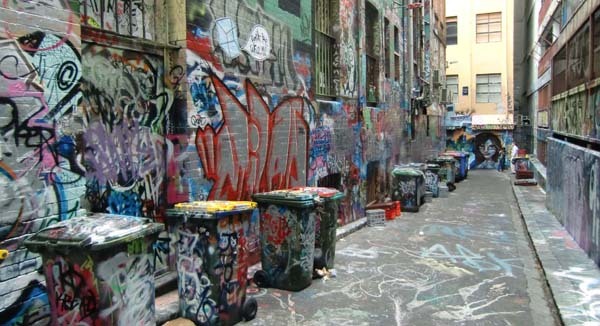 The City of Melbourne recognises there is widespread concern about graffiti tagging within the municipality. At the same time, tourists and visitors regularly view street art murals. This plan distinguishes between the need to remove unwanted graffiti applied without permission and street art murals placed on walls and infrastructure with the blessing of property owners and in accordance with the Council’s approval criteria and planning laws. This form of graffiti is the most wide-spread and considered the most unsightly. Unlike street art, it detracts from the visual presentation of our city and diminishes perceptions that Melbourne is a friendly and safe place to visit. Graffiti on private property will be removed at no cost to owners by the City of Melbourne. 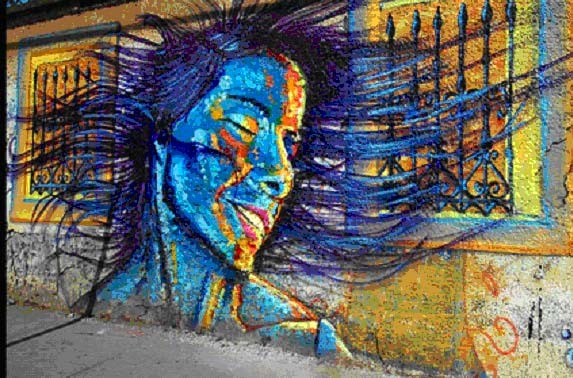 More legal street art sites will be created, which artists can contribute to and help maintain. 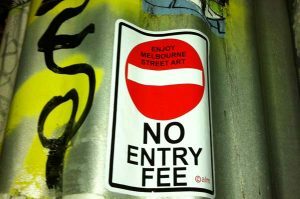 It is now easier to apply for a street art permit from the City of Melbourne. 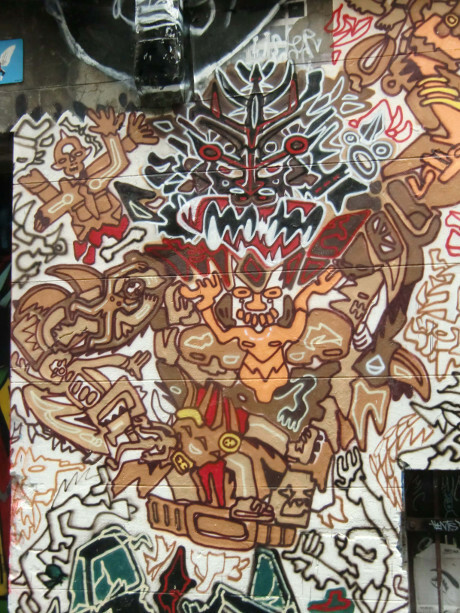 The City of Melbourne will continue its graffiti mentoring program to engage artists. This provides opportunities for street artists to exhibit their work at local galleries and includes our successful street art program, which gives graffiti artists opportunities to contribute to legal street art in the City of Melbourne municipality. More sites for legal street art will be created. For example, we will work with construction companies to allow street art program sites on some hoardings. A new partnership with VicRoads will create legal street art on signal boxes throughout the municipality. We will support property owners, managers and artists to maintain murals created under the street art program. Artists may be supported to ‘adopt a wall’ and take responsibility for maintaining a recognised street art site. This sounds good, however, many, if not most of the street artists might not be happy with the offer to create their artworks within certain allocated sites legally. Most remarkable were the graffiti murals that lined the walls: a giant old-fashioned typewriter tapping out the letters NOLA, a school of cartoonish fish, a swarm of ladybugs clambering over an enormous audiocassette, a skull surrounded by the red sunbeams of a Japanese battle flag, a purple-faced king, and row after row of elaborate, interlocking lettering. Graffiti this large, detailed and time-consuming to produce is an unusual find in the Crescent City, where unauthorized outdoor marking is usually quickly painted over. The exterior of the nightclub warehouse was almost entirely untouched, presumably to avoid drawing the attention of roving graffiti eradicators. Schiffman’s favorite piece of graffiti was the 10-foot-long pink tyrannosaurus. His least favorite was the ballooning black lettering that appeared on one of his white delivery trucks parked near the warehouse a month after he discovered the murals — a bit of unfortunate self-expression that Schiffman said would cost his insurer $2,500 to eradicate. Schiffman finds himself at the crossroads of an ongoing controversy. He is not opposed to what some call street art. Like most property owners, he is opposed to costly vandalism.